MullenLowe Lintas, India, named Agency of the Year. 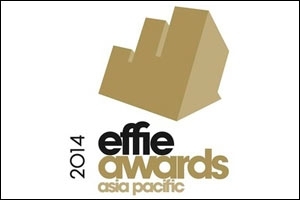 The MullenLowe Lintas Group, India, was named APAC Effie 2016 Agency of the Year at the APAC Effie Awards held in Singapore earlier this month. The Group won a total of eight metals. Coming in a close second was Colenso BBDO/Proximity, followed by a tie for the third place between BBDO India, Barnes Catmur & Friends Dentsu, and Ogilvy & Mather Mumbai. 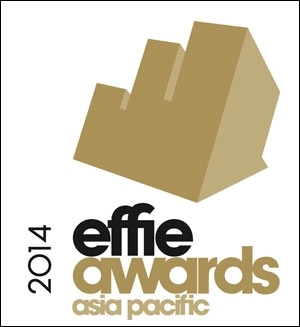 Effie celebrates Asia-Pacific's most effective marketing campaigns. This year, India-specific campaigns won 19 metals, with four Golds, five Silvers, nine Bronzes, as well as the Grand Effie. Ariel's 'Share the Load' campaign was the most-awarded entry from India that won across categories. Apart from the Grand Effie, it also won two Golds in the brand categories of Brand Revitalisation and GoodWorks - Brand. It also received a Silver in Household/Home Products and Services category. Other Gold winners included Enormous' campaign 'Introducing India to Commute Commerce' in the David vs Goliath category for ShopClues. Ogilvy & Mather's 'A for Anthem' for The Akansha Foundation, won a Gold. In the Silver tally, Ogilvy bagged an award for its Vodafone campaign 'Democratising Money Transfer, and 'End Acid Sale' campaign for the NGO Make Love Not Scars. Bates India also won a Silver for its campaign 'Reversing the Curse of Concentrates', executed for Mondelez India. Mullen Lintas' campaign 'Fool-proof Internet Service' for Idea Cellular was also awarded a Silver. In the Media, Entertainment and Leisure category, MullenLowe Lintas received a Bronze for its Google India campaign 'The Suffering of Buffering'. The agency picked up a Bronze for its OLX India campaign 'Cellphone to Sellphone'. Its 'Brave and Beautiful' campaign for Dabur India went on to bag two Bronzes in the categories David vs Goliath and GoodWorks - Brand. MullenLowe Lintas' campaign 'Track the Bite' for Godrej Consumer Products also won a Bronze in the Branded Utility category. The agency also picked up another Bronze for Hindustan Unilever's campaign 'Discover Real Togetherness' in the Sustained Success category. Flipkart's 'Wish Chain' campaign by the agency also received a bronze. Meanwhile, McCann Worldgroup won two Bronze metals for its campaigns 'Teaching India the Dettol Habit' for RB India, and OMRON's 'Your Voice, Their World'. At the network level, BBDO Worldwide took the lead, with a total haul of 17 metals, which included the Grand Effie. It was followed by Ogilvy & Mather and the MullenLowe Group in the second and third positions, respectively. Brand of the Year, and Marketer of the Year were two new Special Awards added this year to recognise the joint efforts and close collaboration between clients and agencies to produce successful work. The awards were presented to Ariel Matic and Procter & Gamble respectively, for 'Ariel - Share The Load'. These Special Awards are given based on the points received by the winners and finalists. The Awards Gala, attended by some 200 industry professionals, presented a total 66 Effies - 1 Grand Effie, 12 Golds, 21 Silvers and 32 Bronzes. Like earlier, India continued to be the strongest market in the region on the effectiveness stage, contributing the highest number of metal winners, followed by New Zealand and Australia. 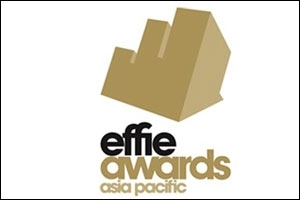 Organised by the Confederation of Asian Advertising Agency Associations (CAAAA) and the Tenasia Group, the APAC Effie Awards honours the region's most outstanding marketing communication works that have proven results in meeting strategic objectives. Winners and finalists will contribute points towards the ranking on the 2017 Effie Effectiveness Index, the global ranking which identifies and ranks the most effective marketers and brands by analysing finalist and winner data from worldwide Effie competitions.